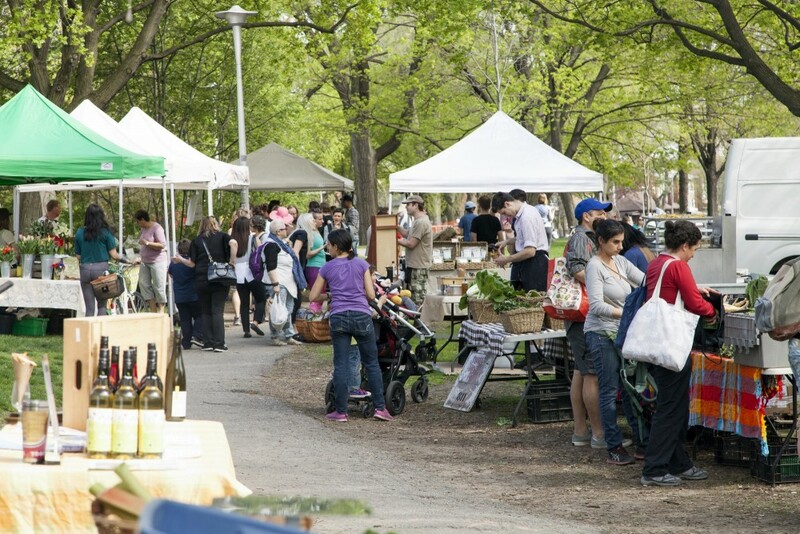 Farmers’ markets in Toronto are a great way for spending some quality time in your beloved neighbourhood while catching up on your shopping. 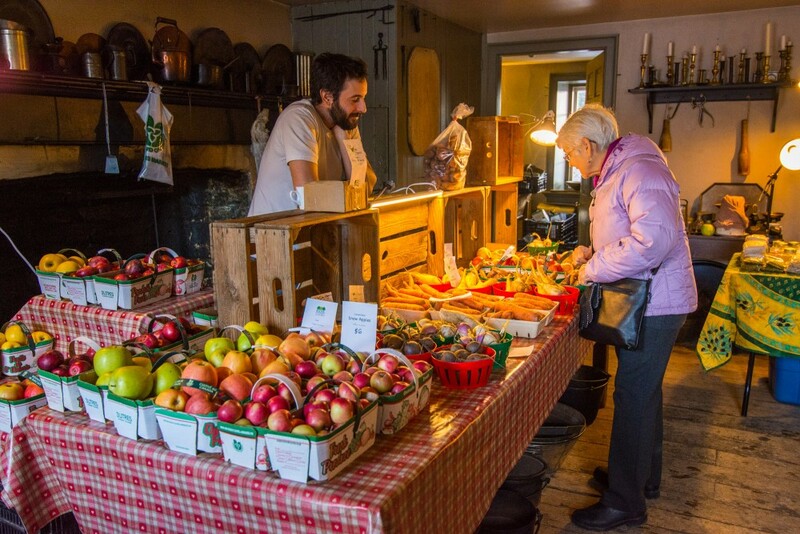 Not only you can buy seasonal fruit and vegetables, but you can also try freshly baked bread and pastry, locally-made cheeses, sustainably-raised meats that lived happy lives, juices, ciders, and so on. These markets are also essential selling spots for vendors because direct sales provide a great recognition for their intensive efforts as they are challenged by the industrial food system. Markets contribute positively to community health and the local economy, and they help us better understand the diversity of ethical and ecological production practices. It’s safe to say that there is something for everyone, whether you’re gluten-free, vegan, or you just want to grab a cup of coffee. And while shopping for these organic Ontario goods, you are spending the afternoon in good company, surrounded by great music. 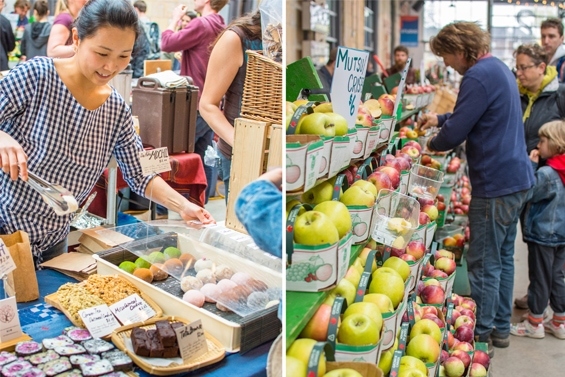 So if you are looking for family fun or just want to restock your pantry, this guide should help you decide which farmers’ market in Toronto to visit next! 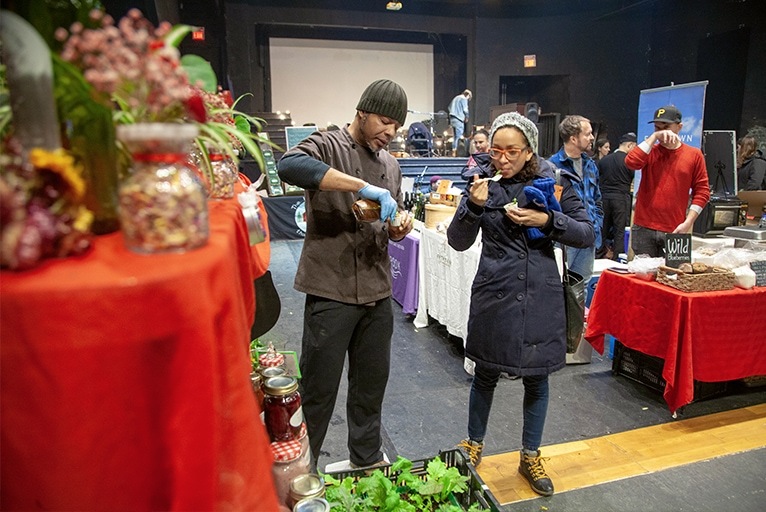 Visit Leslieville Farmers' Market during the winter months at the Redwood Theatre - nurture the community by supporting your local food system! 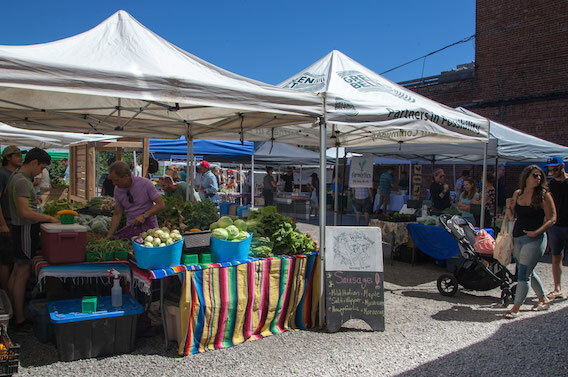 The Junction Farmers Market provides local, sustainably produced fresh foods in ways that build the community, and support local food growers and producers. 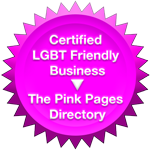 Think globally, shop locally! 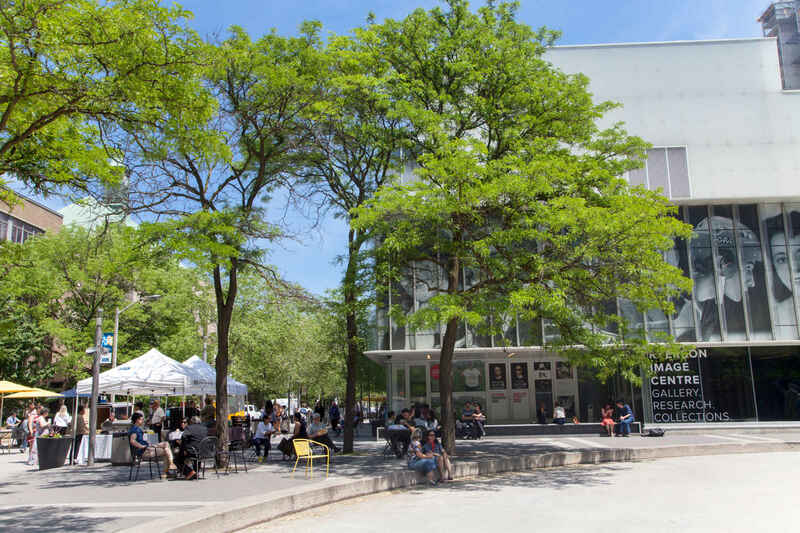 The Ryerson Market returned for another season of delicious outdoor lunch options, fresh seasonal produce, and locally made food. 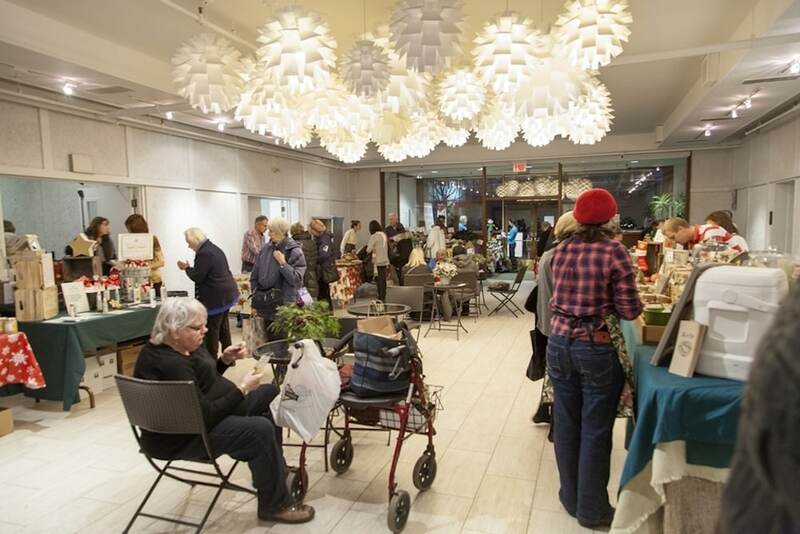 Artscape Wychwood Barns is a community cultural hub, where a dynamic mix of arts, culture, urban agriculture, environmental and other community activities come together. 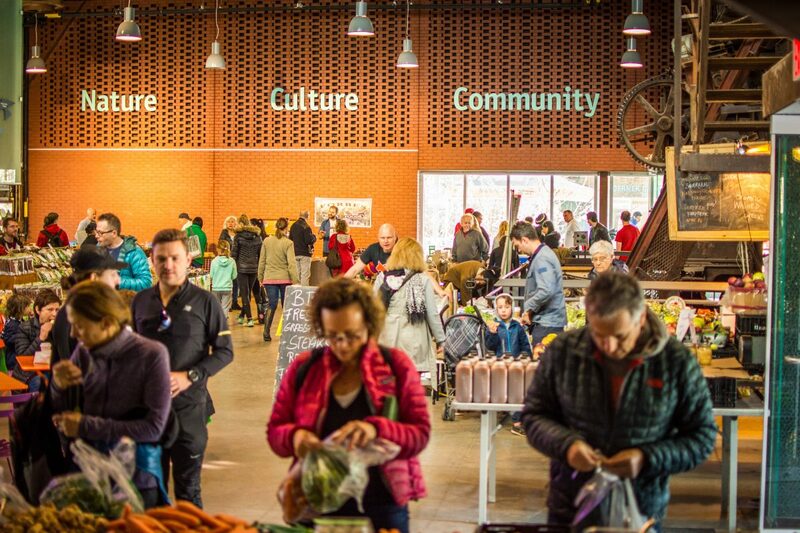 Supporting local chefs, farmers and fishers, and eating the regional seasonal food is in the centre of Evergreen Brick Works Farmers’ Market's interest, because as they say - "food simply tastes better when it is in season!" 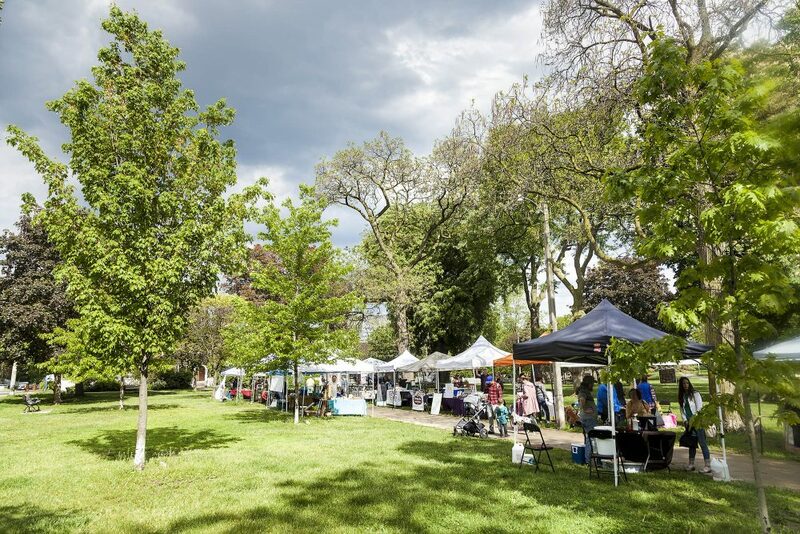 The Cabbagetown Farmers’ Market, first opened in 2001, continues to celebrate bond between its vibrant community and local, sustainable food, while emphasizing working with farmers from Southern Ontario to keep it as local as possible! Try organic produce like fresh-baked bread from the Inn’s wood-fired oven or ethically raised meat. Eat, enjoy the music, meet new people and don’t forget to have a tour of this atmospheric Inn! 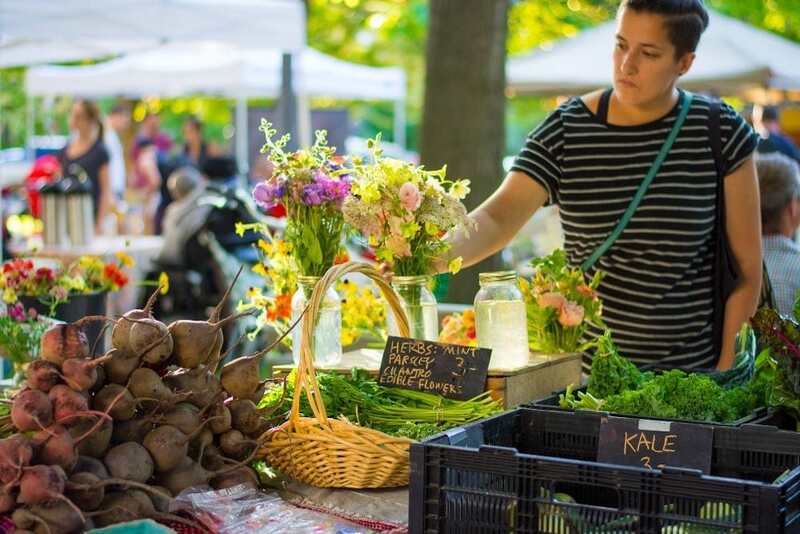 Aiming to bring fresh, local, sustainably grown and organic produce, this market's mandate is to educate the community in the food they eat, from how it's grown to how it's prepared. 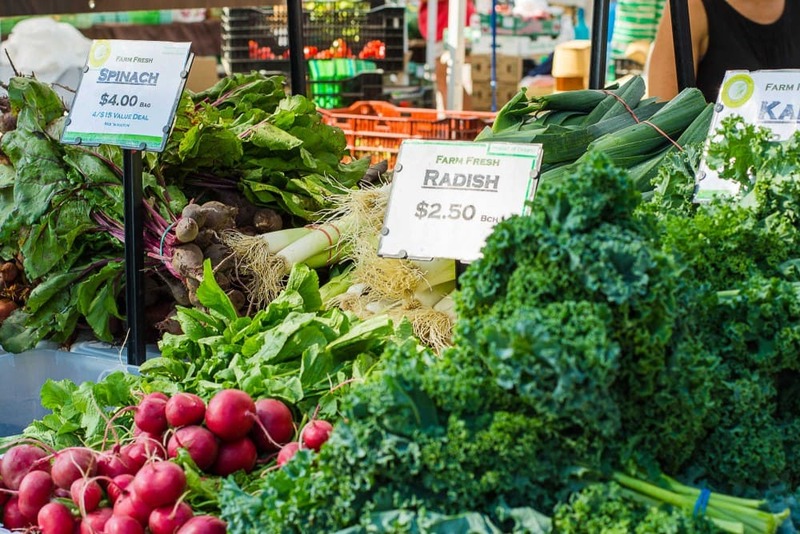 First open in 2006, East York Farmers' Market is the perfect place to get fresh groceries, and a great spot for local Ontario farmers to sell their home-grown, organic produce. 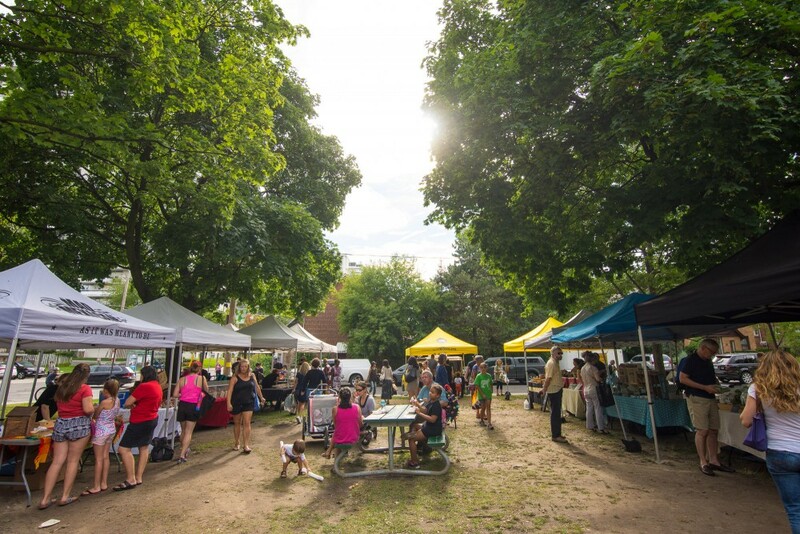 The Davisville Village Farmers' Market is a loved neighbourhood spot to catch up on your shopping and spend afternoons in good company, surrounded by great music and delicious food. The integration of the market with the park is what makes it unique. 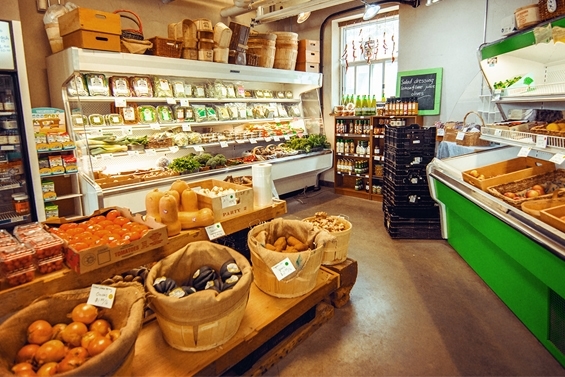 While shopping for organic Ontario groceries, you're also surrounded by gardens, children's playgrounds, the basketball court and the skating rink. 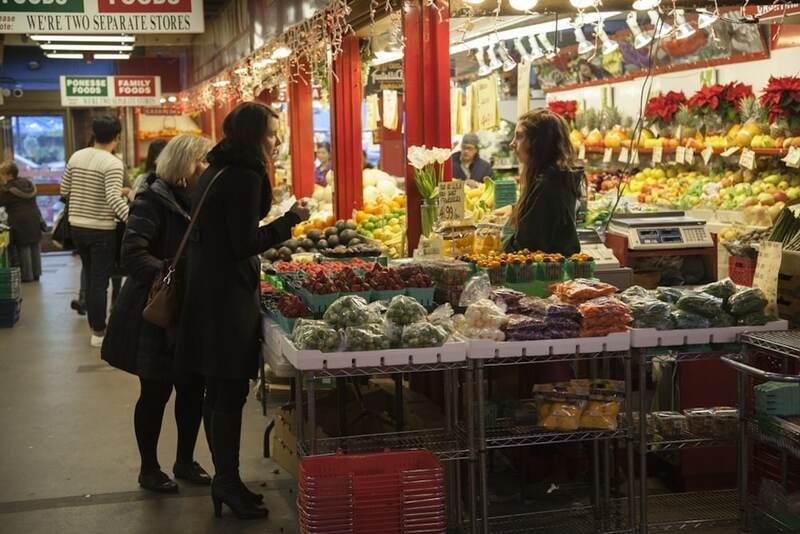 St. Lawrence Market is the biggest indoor market in Toronto, consisting three buildings and three different markets - North Farmer's Market, South Market, and Antiques Market. The TBG offers a lot of interesting lectures, courses and workshops about agriculture, garden design, urban gardening or urban beekeeping, so if you want to get some dirt under your fingernails, this is the place to go. 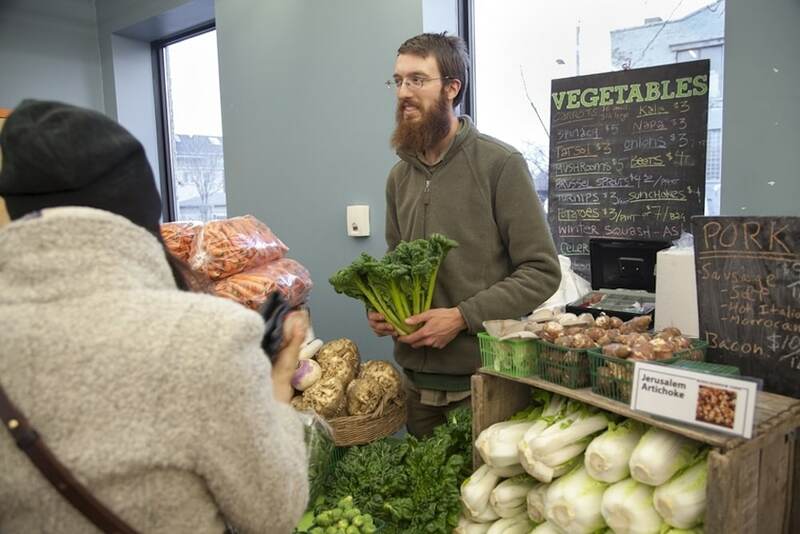 The idea of organizing a market there came out of the heads of local food enthusiasts, who started the non-profit platform West End Food Co-op committed to "bring more healthy and culturally appropriate food to the West End". Love at first sight with the JKT	Mystery Listing Coming Soon!